Wow, this week been a week of new releases for me. Some Odd Girl new releases continue on Some Odd Girl blog, so please check them out. 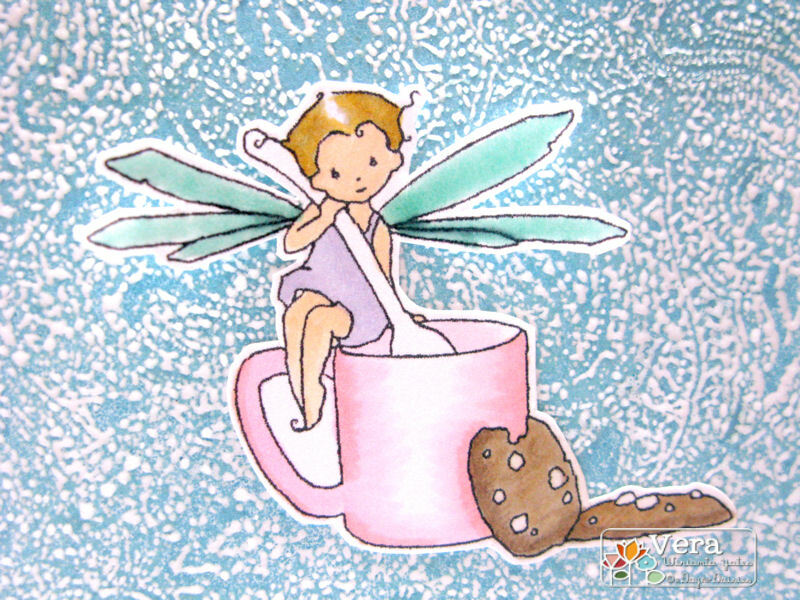 And, today I want to share A Day For Daisies image, called Acorn Cutie. 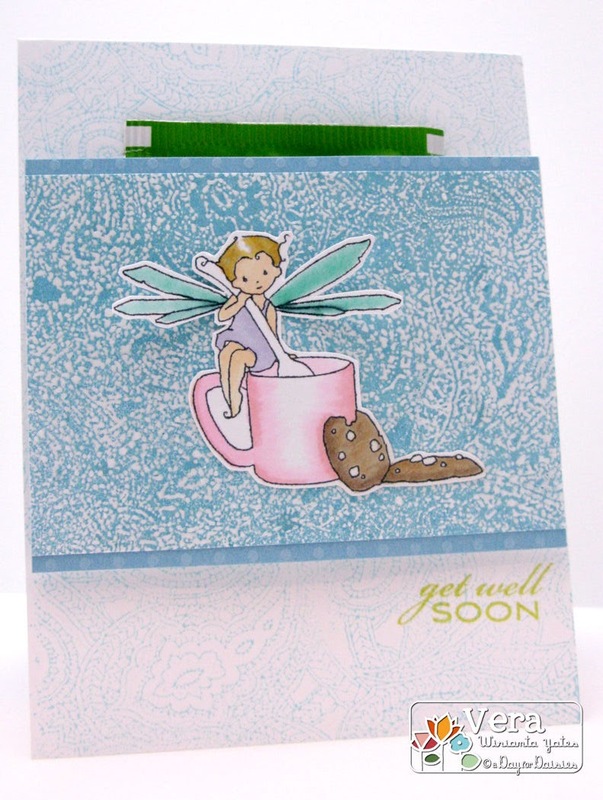 I made this card based on Chupa's Sketchbook Saturday's Challenge, although I did skip the bow as the patterned paper was already busy enough. 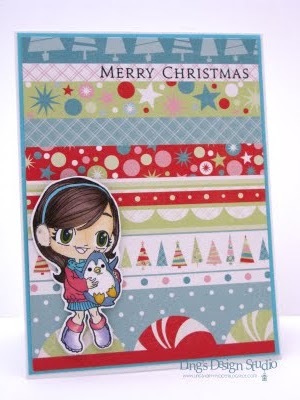 The super fun paper is from Kaiserkraft collection and it matched Tia's dress perfectly. I usually start with coloring my image first, then look for the paper that I think would work well with it. Sigh... I love penguins. I think they're cute. And... I for one, cannot wait to see Happy Feet 2. LOL, I'd go to see it just because I love the penguin babies! They're so adorable and they sang & dance. Perfect combination. Hm... sometime, I think I have Peter Pan syndrome. Oh... I just jumped all over the place, didn't I? 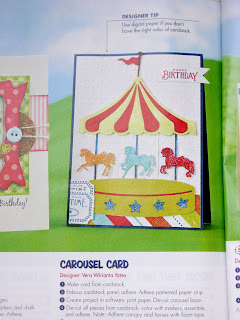 Back to card, for more fun samples for today's new releases, please check out Some Odd Girl blog. Have a fabulous Thursday everyone! Hi lovely peeps. Another quick post here. Sorry, if I've been a bit quiet on the story side. Not too many exciting things going on and I just been busy with sorting & organizing pics. Love digital pics, but I love them in album even more. Easier and more fun to share with others when they're all neat in an album. Even if I cannot do layout yet, at least I want them sorted in a slip in page protector. My pics are on the way from Shutterfly and I am just trying to decide whether I want to go with We R Memory Keepers or American Crafts page protector. Which one do you prefer? Any recommendation? Now, let me share this cutie, Kimono Kaylee. I love her sweet spunky style. And there's just something about kimono style outfit that I simply adore. And, by the way, for today only you can get Kimono Kaylee at 25% off. There's also a cute 70's Kaylee. 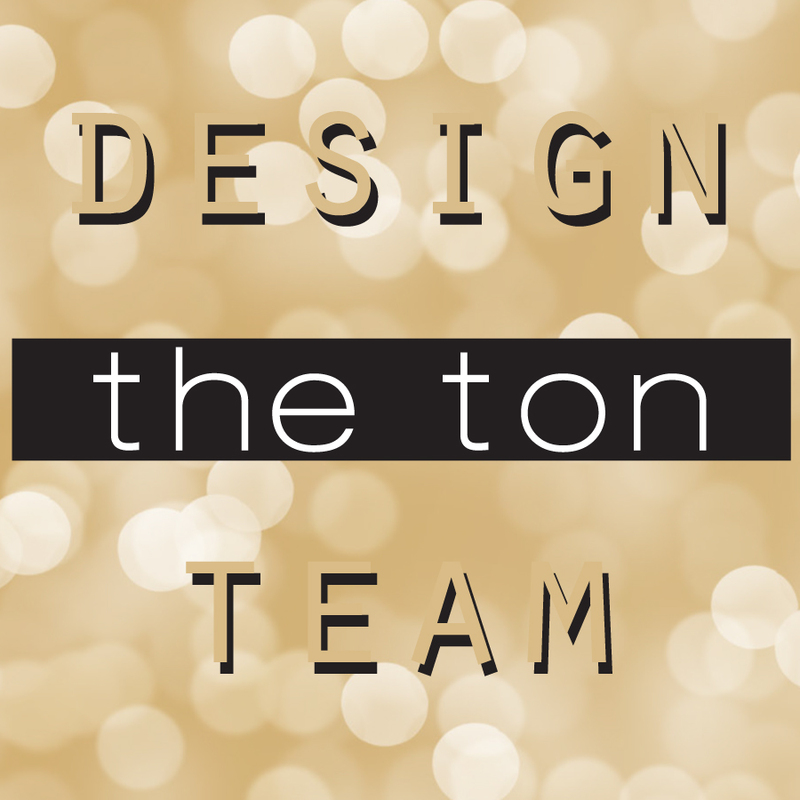 Check out Some Odd Girl blog for some fun & fabulous inspirations by the DT gals. Yay... today I get to show you one of the image from this month Some Odd Girl new releases. I don't know how Kristy does it, but she has quite a bit of new images coming out this month. And... just wait till you see what's coming next month. What a tease... huh? All I can say, Kristy is coming out with fabulous images. :) Today, let's focus in Alice Mae, shall we? Isn't Alice Mae just so adorable? I love her sweet expression. For the border I used My Mind's Eye doily border stamp and the ribbon is from May Arts. Want a peek at the other images that being released? Then check out Some Odd Girl blog. Sorry for the short post, but I just don't have anything new to share. Still working on some details for Caring Hearts Card Drive. We had to postpone the start date a bit, but we'll start in October for sure. 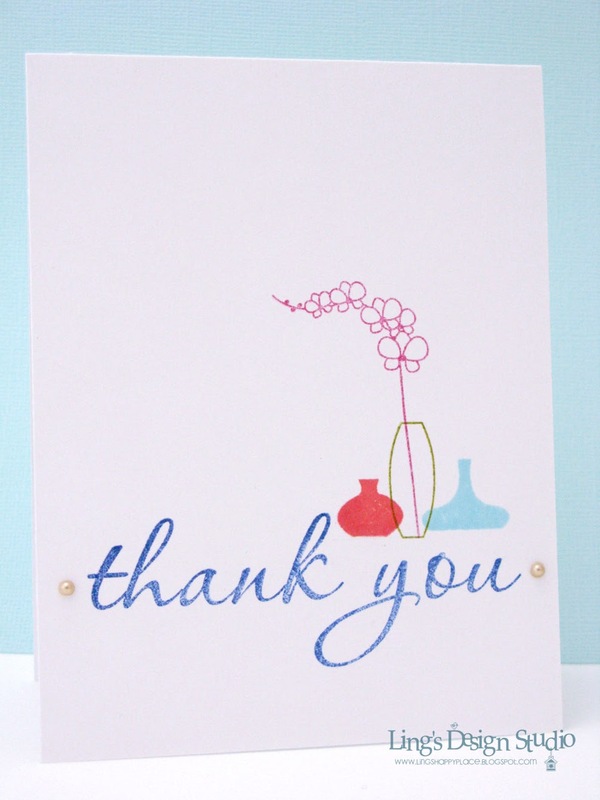 Thanks for stopping by and thank you for all the lovely comments. Your comments really brighten my day. Have a blessed day everyone! 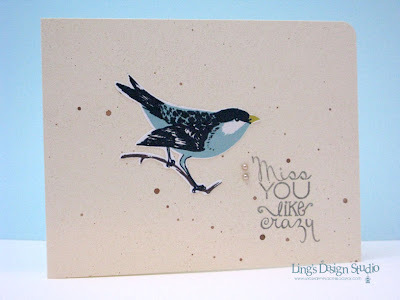 Hello & welcome to Papertrey Ink blog hop. 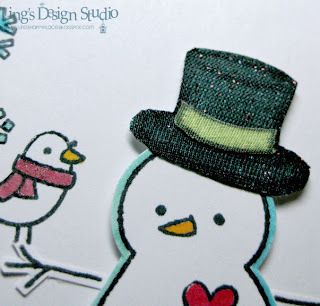 I missed a couple of the hop and so glad I can join this month's blog hop. 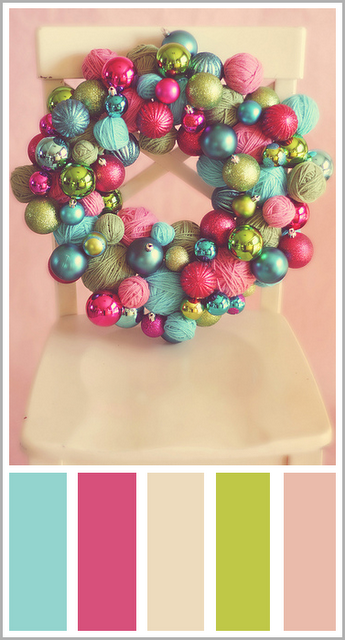 This time, Nichole challenge us to create a project based on this inspiration picture. 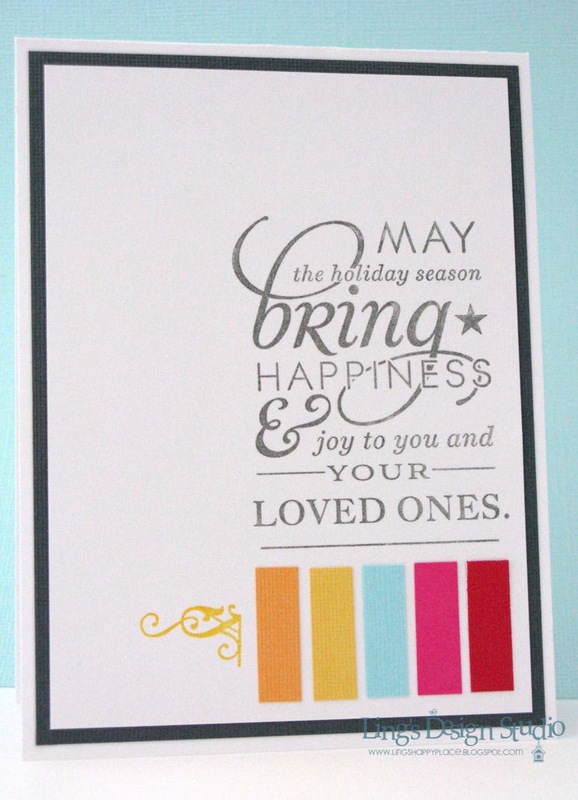 I love the color combo and the stripes and use that as the base to create a non-traditional holiday card. I keep the post short & sweet as I know you have many blogs to hop to. Thank you so much for stopping by here. Have a blessed Sunday everyone. Hm... my negotiation with mojo is not going too well. 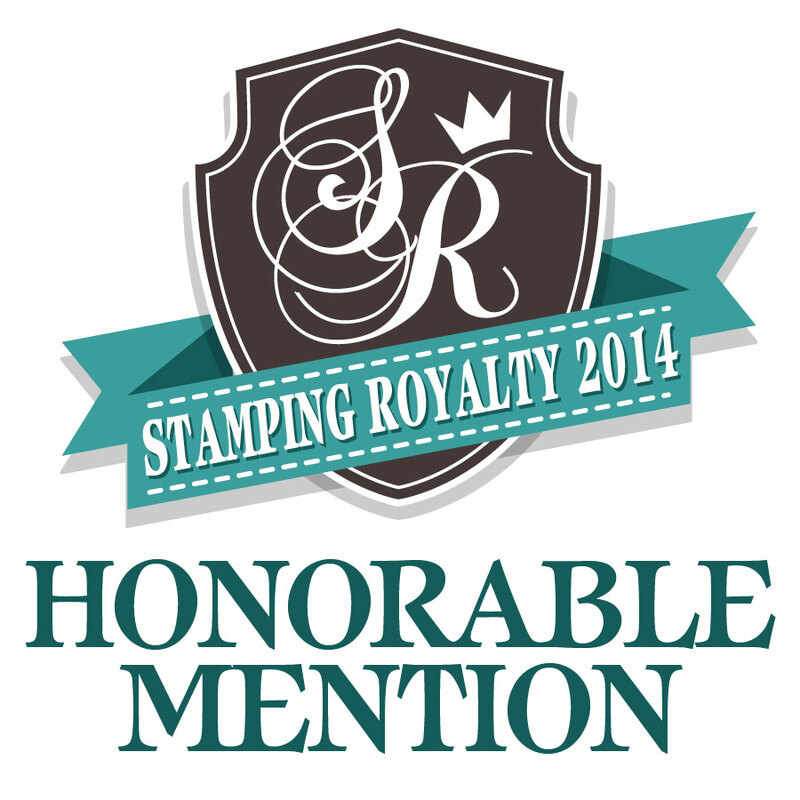 I am trying to bribe it with new stamps, but as you all know mojo not easily bribed sometimes. Sigh... it sure loves to act up when I need it not to. I have datelines and mojo wants to play peek-a-boo. Anyway, I was down to the very last minute before I managed to finish this card for Wee Memories "Patterned Paper" challenge, which sponsored by the fabulous Echo Park. Cross fingers that my mojo will come back soon. I need it!! 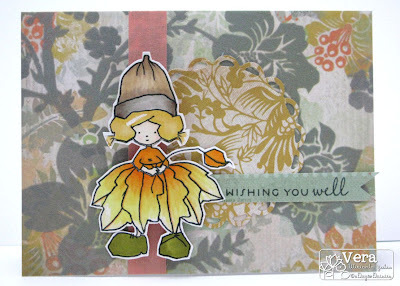 For this card, I used Echo Park hybrid collection that I got from jessicasprague.com. 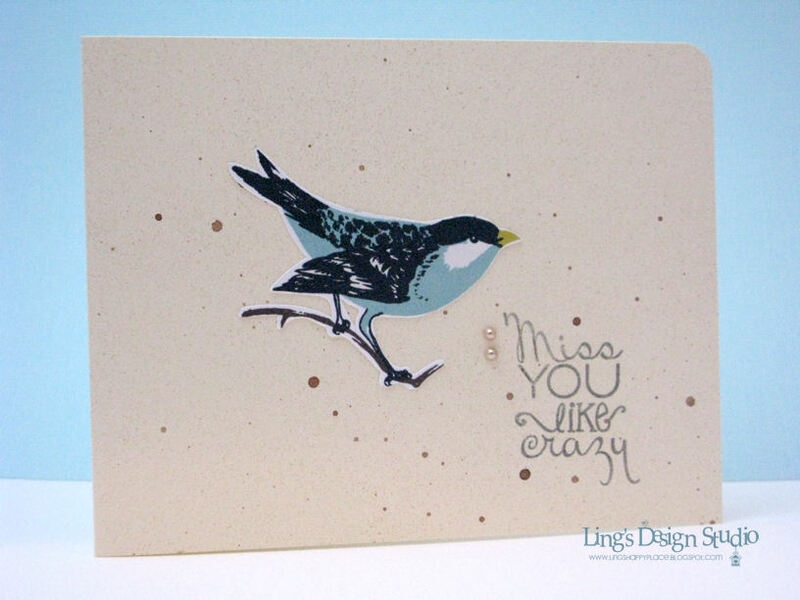 This cute image is from Torico's Birdie Brown store on Etsy. Honestly, I am not super happy with this card. I feel like something is missing or I should do it differently. I don't know. Or am I just being too hard on myself? Yay... it's Friday!! And last night... my favorite show is back on. Yep, I am talking about Grey's Anatomy. I love that show even though it makes me cry when I watch it. 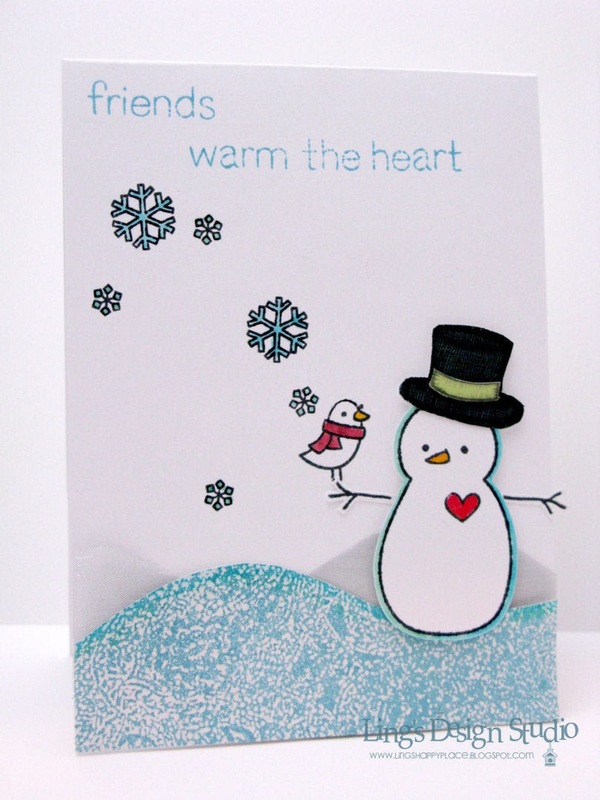 And my fox card was featured on CREATE blog HERE. Double yay... Anyway, I have a long post today as I am sharing some vacation pics. 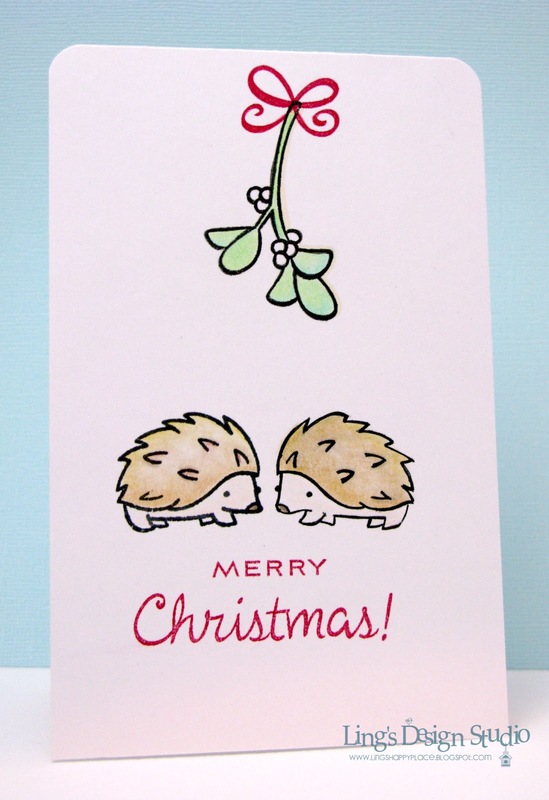 For those who might not care about pics, etc., let me share this card first. I am not going to make you look through all the pics, unless you want to. :) I made this one last month for PSA Essentials. They actually featured this card on PSA Stamp Camp earlier this month HERE. Now, let's talk about vacation. This vacation was much needed for hubby and I. Since I got laid off in April and unsure situation at hubby's work, we were quite stress out & unsure if it wise for hubby to take time off. However, things start to look up and at one point we decide, life is all about balance. We cannot just let work rules our life. We started our vacation in San Franciso (where I had one of the best seafood ever at Tadich Grill, the oldest restaurant in SF) for a couple days, then spent a day with hubby's uncle who lives near by. We love doing the hop on hop off whenever we're at a new place. Just because they took you to all the major point. 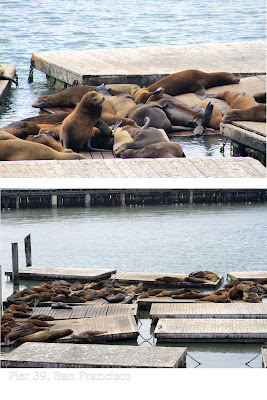 We went to Pier 39 and we had lots of fun watching the sea lions. You could hear them the moment we step off the bus. I could watch them all day long, but couldn't quite stand the smell. LOL. Smells like rotten fish if you stand too close. Hah! Sea lions snoozing at Pier 39. 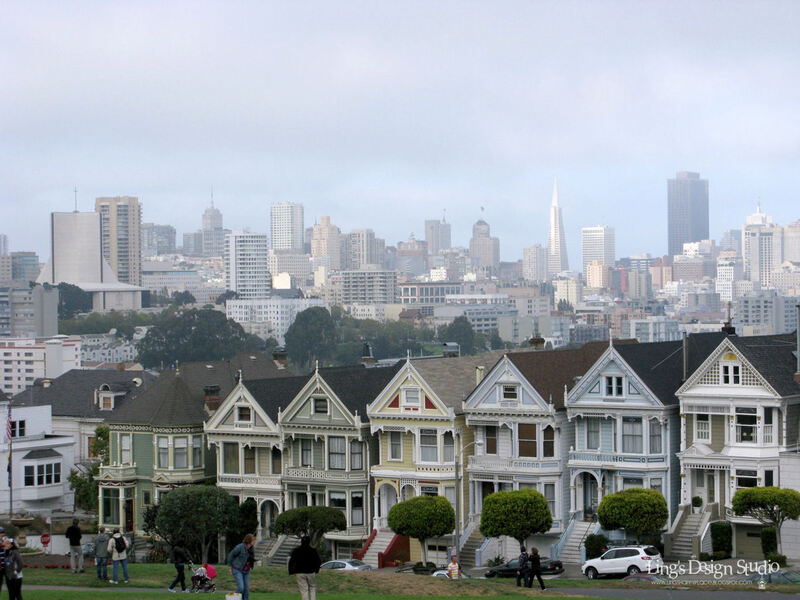 Gorgeous view of The Painted Ladies. It was foggy during our stay in SF with maybe an hour here and there where it's actually clear sky. 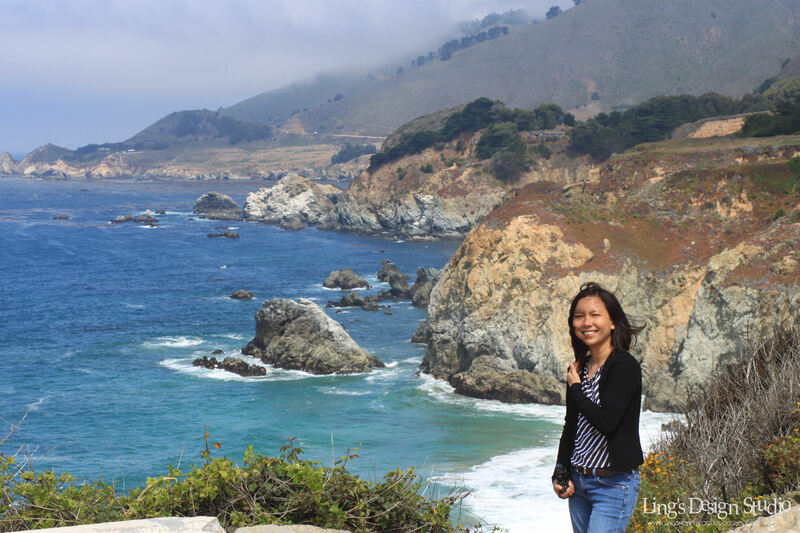 From SF we drove down to Monterey. I just love this place. Plenty of beach to check out. 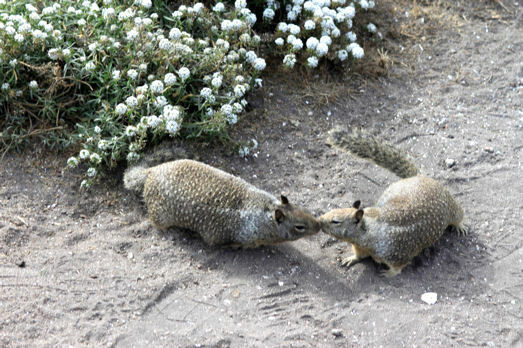 And while walking on the beach there we saw lots of squirrels playing on the rock. Now, having grown up with 2 squirrels in the house, I love watching them and yes, I took quite a few pics of them. 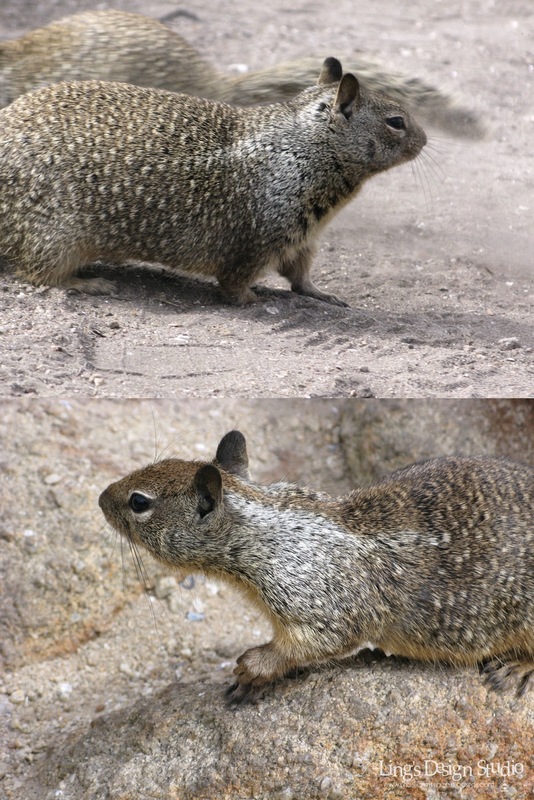 I think they are adorable creatures. 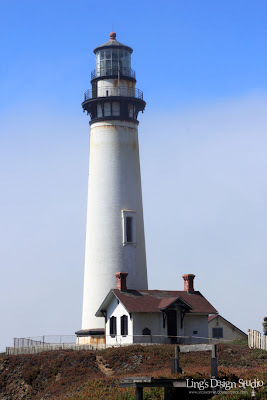 On our way down, we passed this light house and I love light house, so of course we had to check it out. Love, love, love the view! 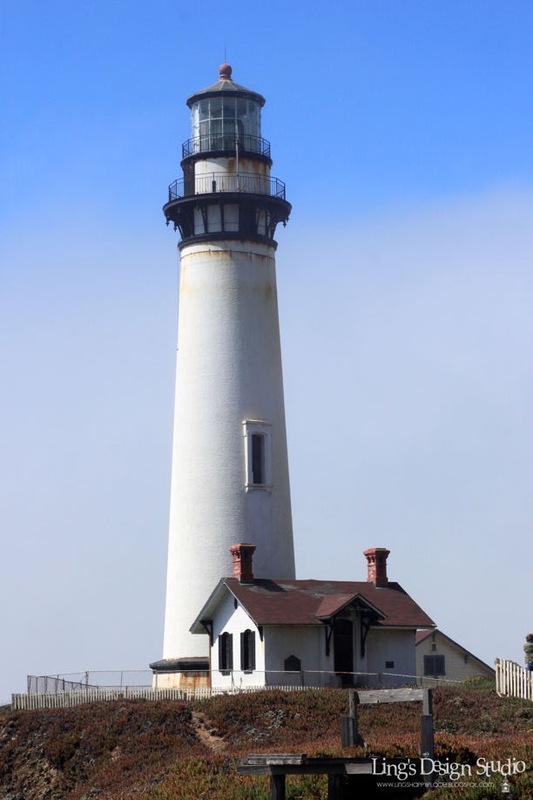 Actually next to the light house is a small inn where you could stay. It looks a bit outdated from the outside, but hey you have gorgeous view right out the door. From Monterey to Solvang, our next stop before Santa Barbara is really not that far, but it took us the whole day just because we kept stopping by on the side of the road so many times. Easily we stopped 30-40 times. This pic below show the kind of view that we got to see along the way. 1. When I saw the view, my heart just swell. The ocean view is one of my all time favorite view. At this moment, I was so grateful that I have a pair of healthy eyes that allow me to see this amazing scene. 2. Grateful for my mind & soul healthy "sights" that allow me to appreciate this view. Not taking it for granted for even a second. 3. Thankful that we're able to take the vacation. Just the fact we can take this trip is a blessing. So many others have to wonder where their next meals coming from. 4. Thankful that I have hubby to share the vacation with. 5. Thankful that God spoil us His creations by creating amazing scene like this for us to enjoy. I could go on and on. Hubby and I do acknowledge our blessings. Did you ever get that email that say if you could read, you are blessed than about half the earth population who couldn't, if you have a matching set of plate, you are blessed compare to the millions of people who don't even have food to fill a plate, etc. That's how we often remind ourselves to be thankful. Like my mom always said don't be jealous of things you don't have. Look down and you'll see how blessed you are compare to so many others. Okay, I don't get to travel abroad as I want to, but many couldn't even afford vacation even inside the States. And, if I had just focus on travelling abroad, I'd have missed this view. Always, always be grateful for what you do have. Only spent one day in Santa Barbara, but boy... the sunset view resulted in one of my favorite pic from the trip. 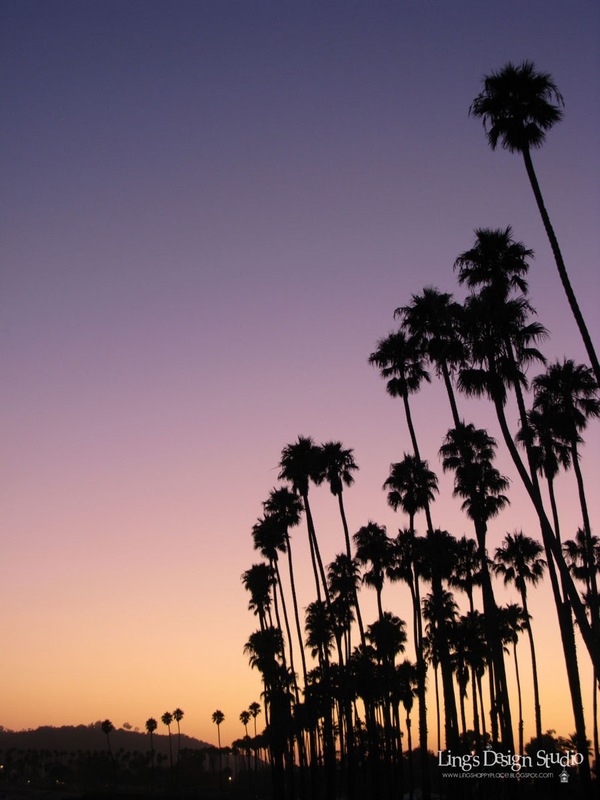 The coconut tree, the sky color. This pic totally untouched. I only add my watermark. Gorgeous colors isn't it? Hmm... I have maybe about 20 favorite pics from the whole trip. Between hubby and I we took almost 1000 pics. Deleted maybe 300 pics? Many of the ocean view are only slightly different, but I want to keep it, just because even looking at it, soothe my mind. To my family in Indonesia (blog is such a great way for them to keep up with what's going on in my world) hope you enjoy the pics as well. Have a great Friday everyone and may your day be filled with many blessings! Luckily, I finished this card for Some Odd Girl photo inspiration challenge before mojo went on a strike. I just had to use Some Odd Girl Gifty Gwen again. She's so sweet & girly. 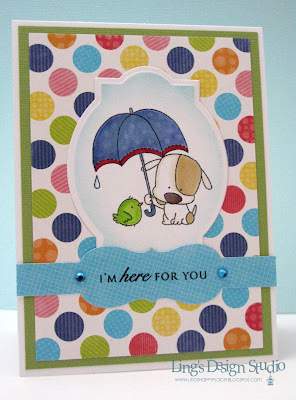 And, as you can see, for this card I am still into playing with spray mist. 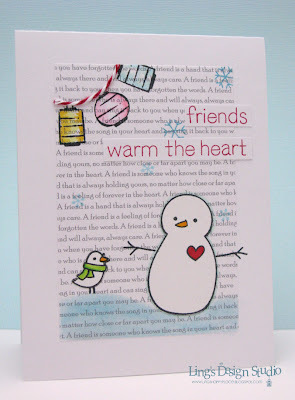 :) You can check out the DT gals fun & fabulous creations for this challenge over at Some Odd Girl blog. Hi peeps! Just want to share the card that I made for my post at May Arts. I showed you a peek of it on yesterday's post. For those who hasn't swing by to May Arts blog, can you guess where I used the ribbons? 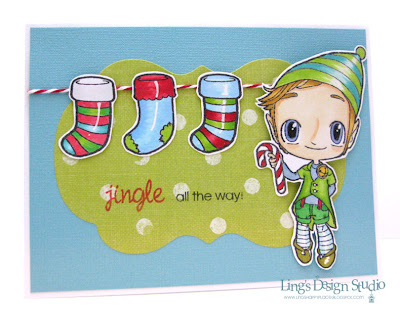 Hint, I used 3 kind of ribbons on this card. 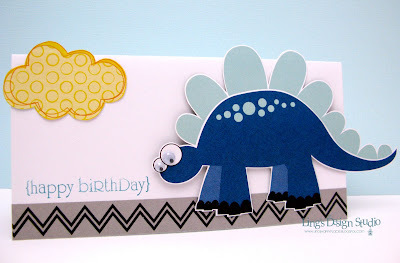 For step by step tutorial please check out the post on May Arts blog HERE. Hi peeps, I am still swamped at the moment and been working on sorting out pics. I haven't printed any pics except for the very few that I printed at home. So, this week my mission is to go through our thousand of pics from this past 2 years, plan some layouts, & get the chosen pics printed. :) It's about time I do more works on our album. Been working on other people's album and I promise hubby I'll focus on ours. 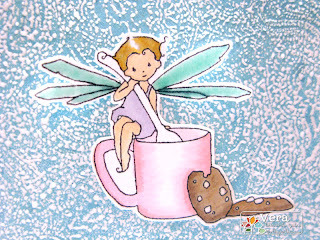 Meanwhile, I have my project for May Arts & Tattered Angels week up on May Arts blog. And they also have giveaway that you can enter simply by leaving comments on the projects. Here's a peek at my project and I hope you'll check out my project. Oye... where did the weekend go? I am not ready for the weekend to be over. Sigh... so many things to do and not enough time. This weekend I completed an 8x8 album for my in-laws. They requested this right before we left for vacation and yep, it needed to be mailed back to them by this coming Wednesday. They are into history and all, and the house they live in is part of the historical place and they're having a historic tour going on that including their house. So, for historical purpose, they sent me all these old pictures & story from the very first owner of the place back in 1886 to now. Needless to say, I had to work in record breaking speed as I wasn't able to start the album till this Saturday. 2 days to be exact and this morning the album is being ship back to Galena, IL. And now it is time for the latest Lawnscaping challenge sponsored by Lawn Fawn. Create any project using text. I've been working on our vacation picture as well & sorting through them. Between hubby and I we took almost 1000 pics. Crazy!! Weeding them down and I will post a few of my favorite soon. 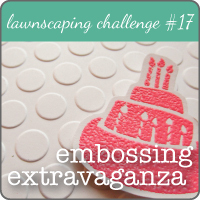 Don't forget to check out the Lawnscaping DT fabulous creations for this challenge HERE. Hope your week start off fabulously. Good morning and happy Saturday everyone! Well, you know, Saturday means... it is time for a new challenge from Wee Memories. And this week challenge is my kind of challenge. No patterned paper. Now, don't get me wrong. I love patterned papers and if you ask hubby, he probably says I am pretty obsessed with patterned paper actually. It just that somehow I tend to use them more for my scrapbook layouts. 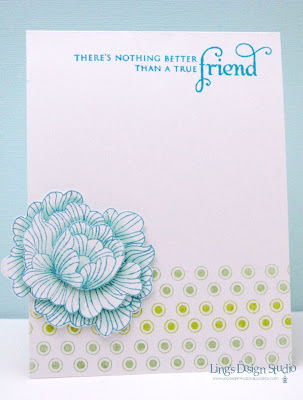 For cards, I do have tendency of not using patterned paper. So, I consider this my kind of challenge. :) And this week we are sponsored by Ippity Chick - Jen. For more fabulous inspirations by Wee Memories DT and details on the challenge please go HERE and I hope you will join us on this fun challenge. Can't wait to see your creations. Have a fabulous weekend, peeps. Cheers. Welcome to Some Odd Girl New Release blog hop party!! Through out this week we've been giving you a look at all the clear stamps that being released this month. Today we are having some special blog hop to celebrate the new releases (with some fun giveaway, of course... Check out the details below). This month releases has brought you a ton of fun and new things (aren't you LOVIN our new curly girl Gwen?! She's so sweet & adorable) and today is no exception! Up until now all Some Odd Girls clear stamp sets have been a 4" x 3" size but we've stepped up our game and stepped up the size! We have 2 sets this release that are a bigger 4" x 6" size! Say hello to Warm Wishes Tia and Deck the Halls Tobie! So, what do you think? Isn't Tobie cute?? And I actually trace the line of his hat with Sakura glitter pen, son it actually has this pretty fine glitters that just didn't quite show up on the pic. Now, make sure you comment on every blog for a special surprise giveaway. You have through Sunday at 11:59PM EST to get your comments in! Winner will be announced on Monday at Some Odd Girl blog. Thanks for stopping by and I hope you have a fabulous Friday. Here is a closer look of the image. It's really hard to see that the background actually has a nice shiny shimmer. I stamped the background image using Penny Black Paisley Background (which I do have about 3 sets that I'd like to sell, if you're interested -- see for sale tab on top), embossed it, and then I spritz the whole thing with Tattered Angel glimmer mist. Check out the DT fabulous creation at A Day For Daisies and please join us for this fun challenge. Honestly, this week been kind of hectic. I've been slaving in my craft room since I have lots of DT works & tutorial to finish that my desk looks like a ship wreck. Literally, it gets to the point where it really bugs me and my mojo threatened to leave me if I don't clean it up!! So, that's my goal for today. To have my desk clean up and organized, so I can mess it up again. Sigh... the cycle of crafting. We have 2 set being released this month featuring Gwen. The sneak peek for the first set was shown yesterday at Some Odd Girl post HERE. And here's the 2nd set called Gifty Gwen. Isn't she a cutie? Now, this set is a Christmas set, but I just want to show you that she's very versatile and you can use her for non holiday card as well. I think my card below can be used for birthday or to thank a friends and tell them how you consider them as one of the greatest gift in life. 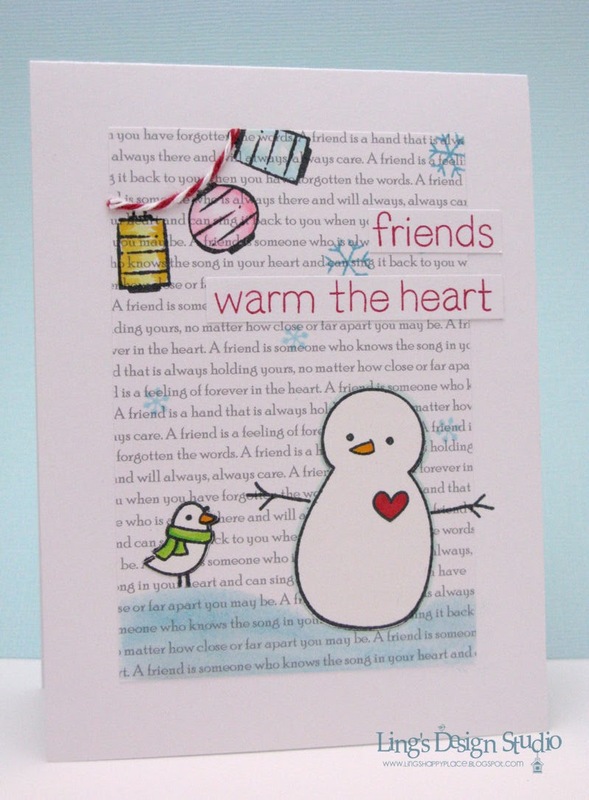 Entering this card for Young Crafter United challenge as well. When I work with Some Odd Girl stamps, I feel like they bring out the clean style in me. I just want the image to shine and keep everything else clean and simple. I colored Gwen with Copic and for some glitz, I added fine glitters to the hair pin and the belt with Sakura glitter pen. Come back tomorrow and we will be showing you 2 of the big set. 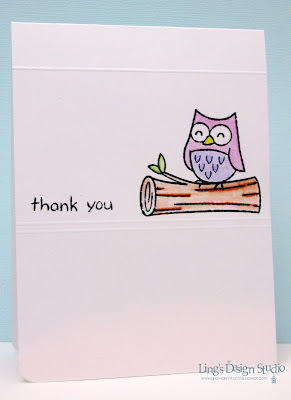 For this we will have a blog hop and of course a surprise giveaway. Also, just want to mention I have several new Penny Black stamps for sale at 20% below retail. Just click on the For Sale tab on the top. Help me sell this, so I can turn around and buy more stamps, will you. Please help spread the word. As a bonus, if you tell your friends and they make a purchase, you and your friends can get an additional 5% off. So, you will get the stamps at 25% off below retail. Just make sure your friends mention your name. Thank you so much for all your help. 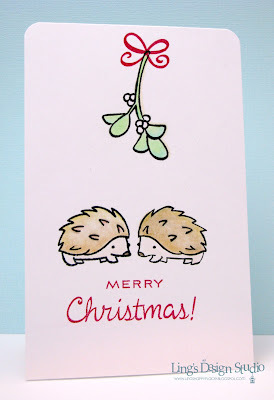 This month Some Odd Girl is releasing quite a few clear stamp sets that will help you create super cute Christmas cards. I am super excited about this as the sets are absolutely adorable! 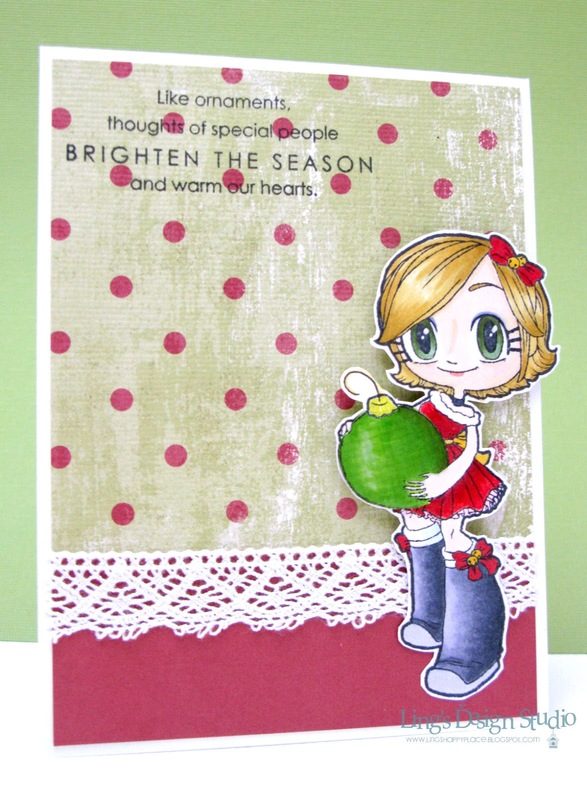 Today, we are featuring this cute & sweet set called Tree Trimmin Kaylee. And, here's my card showcasing sweet Kaylee using the classic Christmas colors, red and green. 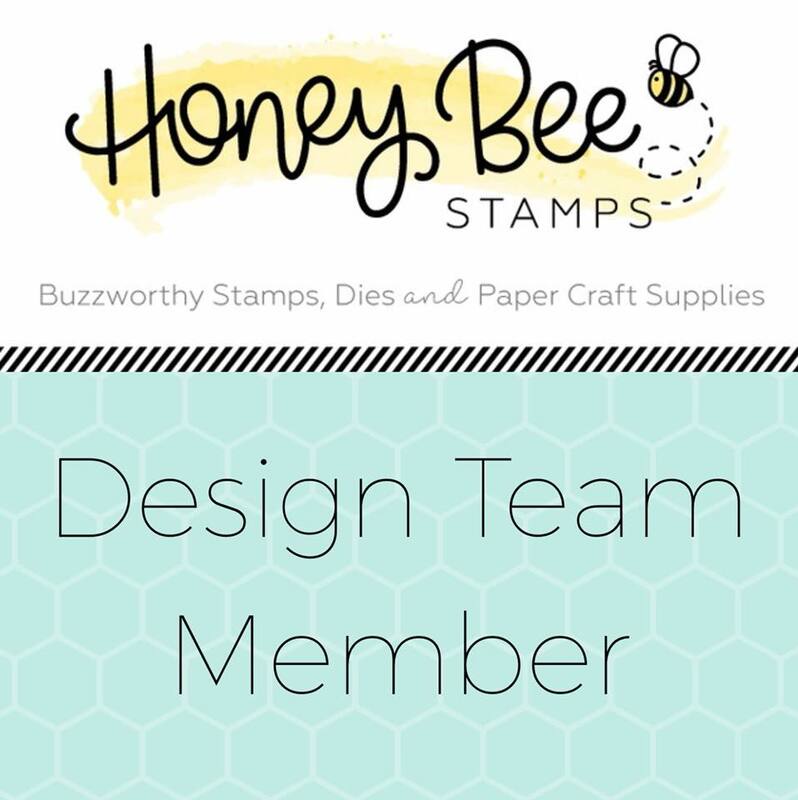 You can check out the DT gals fabulous inspirations HERE. Make sure you check in every day as each day we reveal new sets and plenty of inspirations! Have a great day everyone! I spent my whole Sunday catching up on blogs, projects, laundry, etc. I had about 1000+ post to read on my google reader. Now, down to about 800 something. However, I had to stop my blog reading the moment I saw this Moxie Fab Tuesday Trigger Garden Glory. I love the color on this pic. 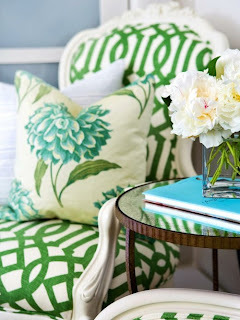 The green pattern on the chair and especially that flower on the pillow.... love! I just had to play, even though I have tons of things on my to do list. Nothing like working under pressure, right? Here's my card inspired by the pic. As many of you know, I love the CAS style, so to keep the card clean looking, I used this dots border instead of fancier border like in the chair. 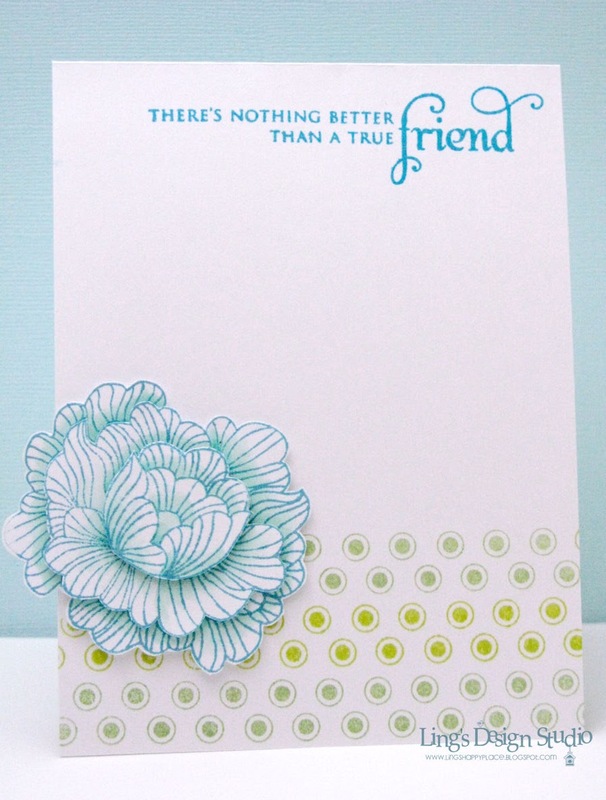 And, for the flower I used this flower from Papertrey Ink In Bloom set. I stamped it 3 times, colored it with copic, fussy cut it, and then layered them for dimension. Short post for today. Longer ones coming soon as I will have bunch of pics to share soon and I will also share my gratitude list. 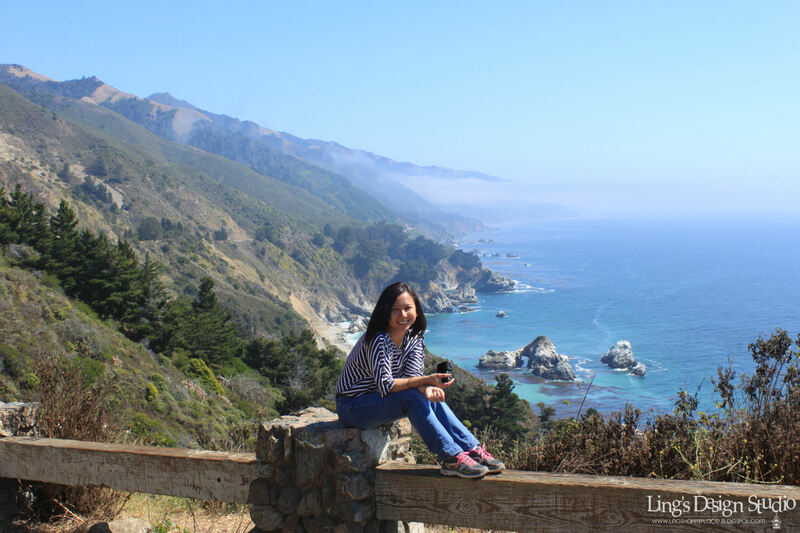 Through out our vacation, I don't know how many times hubby and I say how grateful we are that we're able to take the trips and somehow along the way we piled up a pretty long gratitude list. Love it that hubby shares my believe in being grateful. I hope today you can find many things to be grateful for. Edited to add: While I was away, this post on PSA Stamp Camp went up and they showcased 2 cards of mine (my 1st DT work for PSA. yay...) Please check it out. 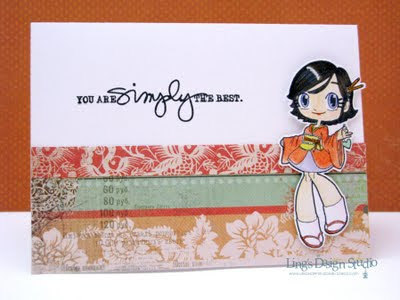 And, Some Odd Girl started their new clear stamp sneak peek week today with prizes along the way. You can check them out HERE. Thanks so much! Hi everyone! Happy Sunday. Just want to pop in real quick to let you know that I am back to home sweet home. I love travelling and yet, there's something joyful about coming home as well. Besides, I missed my doggies, Ollie & Nick very much. Our vacation was awesome. It's the break that we definitely needed. 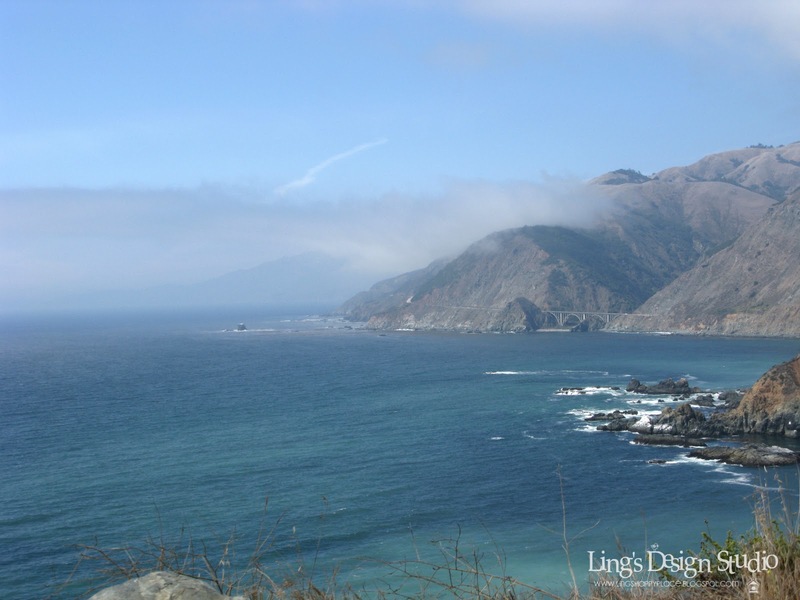 The amazing view we saw totally rejuvenate our mind and soul. More stories and pics next week. Right now still trying to catch my breath and trying to catch up with everything. Before I left for vacation, I was trying for Bella Blvd DT. I didn't make it. Disappointed, but there's always next time. At the same time I also realized that I am blessed that I already work with some of the most awesome companies & people. Here's one of my card that I submitted for the application. A simple and fun birthday card. 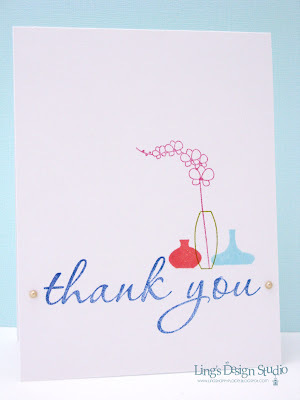 :) Thank you all so much for stopping by my blogs while I was gone. I have about 1000 post to catch up on my google reader. Eekk.... Have a blessed Sunday everyone! Happy Saturday everyone! Today, I should be on my way back from my vacation. I cannot wait to see my doggies. Meanwhile, it's time for a new Wee Memories challenge. 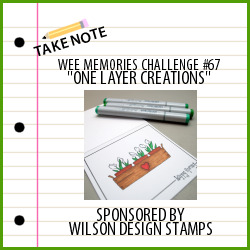 This time we want you to create a one layer creations and we are sponsored by Wilson Design Stamps. And here's my one layer creations. Totally just playing with colored inkpads here. Super CAS, yes? Check out what the DT gals created for this challenge HERE and I'll see you all soon. Thanks for stopping by here. Have a blessed weekend. Hello, hello.... 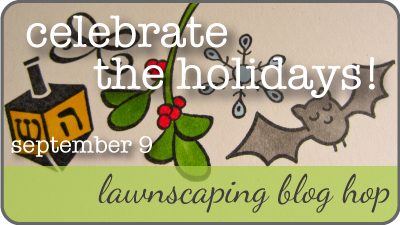 Welcome to our first Lawnscaping blog hop! We are excited to have you joining us. If you arrive here from Gretchen, then you are on the right track. In case you get lost and need a complete list of the participants please go to LAWNSCAPING blog. I would still be on vacation when this post go up, so let's hope that this post go up as schedule without a hitch. 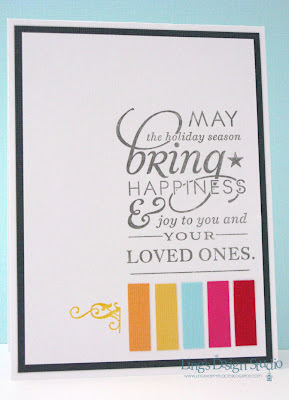 Our blog hop theme is holidays and it could be any holiday. Christmas, Thanksgiving, Valentine, etc.You will have until Sunday, September 11th at 11:59 PM EST to leave comments to be eligible for the prize. We will Be giving away a few prizes to random participant and then we will be giving away two prizes to two people who comment along the hop! The more blogs you comment on, the better chances you have of winning! I'm also entering this over at the new challenge site: Young Crafters Unite! I know you have many blog to hop to, so I'll keep it short. From here please hop along to Cristina. Thanks so much for stopping by here. 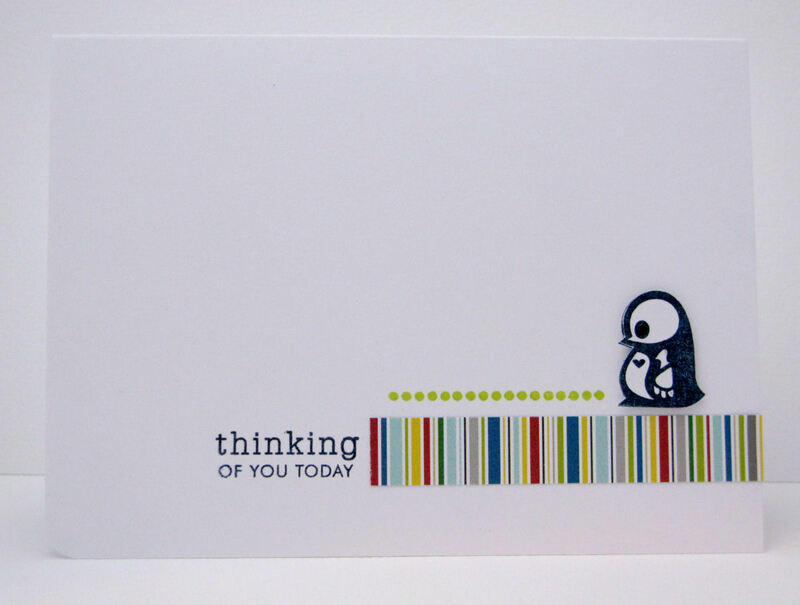 Hi all, today I have a new card to share. I made this card for Some Odd Girl "stitching" challenge that starts today. I hope you will check them out and play along with us. Now, sewing is not my strongest skill, although I did made one quilt when I first learn to sew. Yeah, I just jumped right in and went with big project. :) That was pretty much my first and last sewing project. 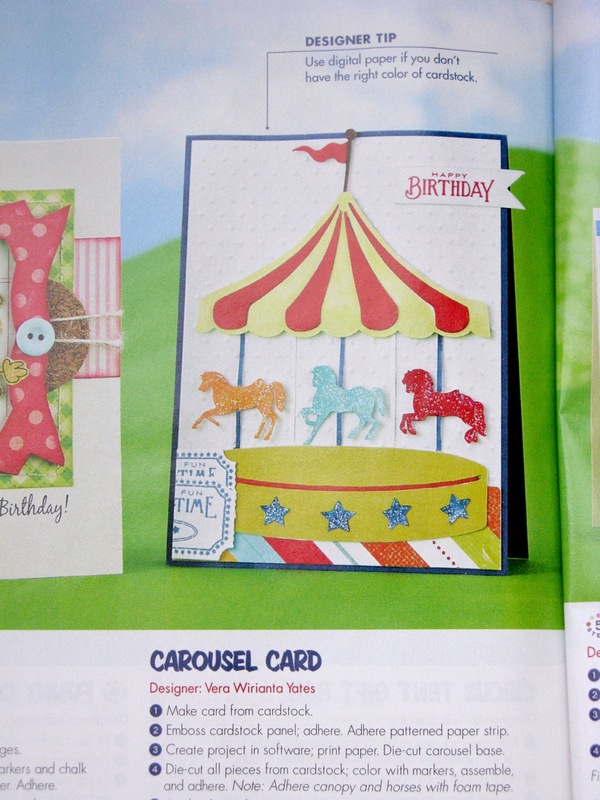 When it comes to card, I haven't have the best of luck sewing using sewing machine. So, it comes down to hand stitching then. For this card, I hand draw the grass followed by hand stitching. What do you think of my handmade grass? For me personally, I don't think it's too shabby. My first try with this card was actually hand stitch a border, but then it bugged me to no end that it's not super straight. After a couple nights of staring at it, I decided to re-do the card. Trim the stitched border and made the grass and I think it looks much better. 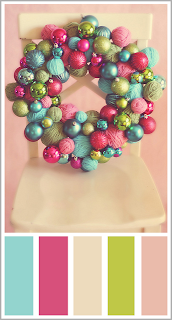 As always, you know SOG gals has some fabulous inspirations for this challenge. Check them out at SOME ODD GIRL. Today, hubby and I should be hitting Santa Barbara and on the last day of our vacation. :) Thanks so much for stopping by. Check out the Lawnscaping DT cards for this challenge HERE and I hope you will join us on this fun challenge. 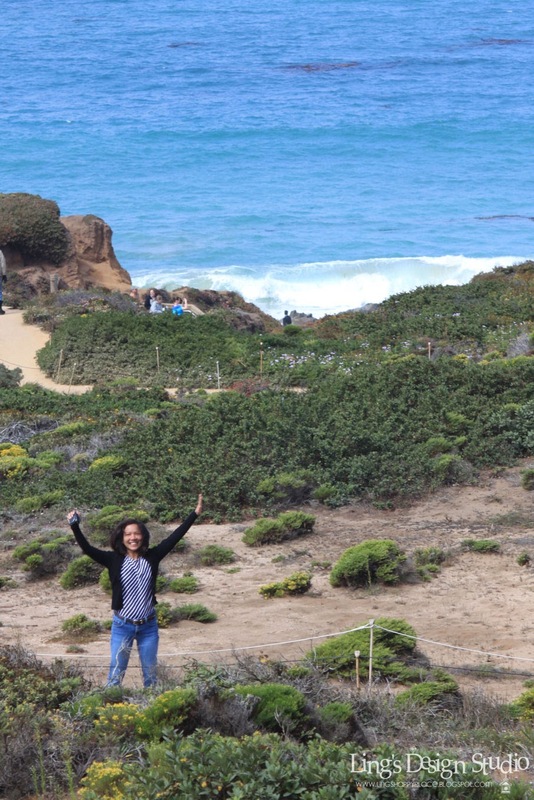 Today, I should be enjoying San Francisco & its surrounding. Have a blessed week everyone!